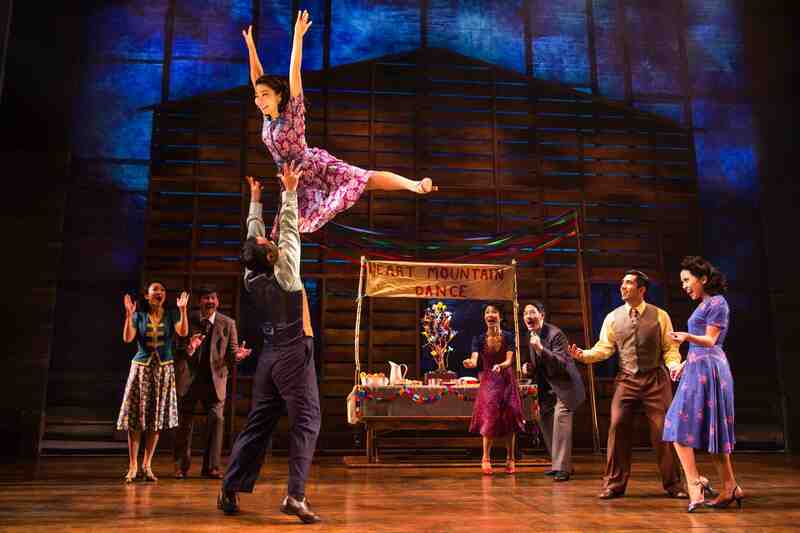 The Los Angeles premiere of “Allegiance” in February at the Aratani Theatre will be a homecoming for the Broadway musical. The dramatization of the wartime incarceration of Japanese Americans, told from the perspective of the fictional Kimura family, resulted from George and Brad Takei’s chance meeting in 2008 with Jay Kuo, who would later write the music and lyrics for “Allegiance,” and Lorenzo Thione, who would co-write the book for the musical with Kuo and Mark Acito. 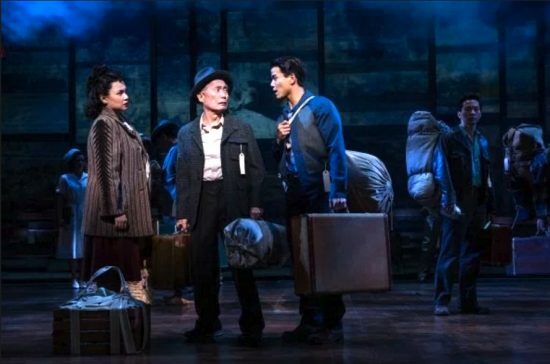 With a story loosely based on George Takei’s childhood experiences in camp, the first reading of “Allegiance” was held at the Japanese American National Museum in Little Tokyo in 2009, followed by readings in New York in 2010 and a workshop at the Old Globe Theatre in San Diego in 2011. The show premiered at the Old Globe in 2012 and was a box-office success. Ethan Le Phong and Elena Wang will star as young Sammy Kimura and his sister Kei Kimura. Takei’s dream of taking the show to Broadway was realized when “Allegiance” opened at the Longacre Theatre in November 2015. It closed in February 2016 after 148 performances. The show was recorded on film and screened in theaters nationwide in December 2016 and February 2017, with another showing set for Dec. 7. The musical’s Los Angeles makeover is being overseen by Snehal Desai, producing artistic director of East West Players, who will direct; Leslie Ito, president and CEO of the Japanese American Cultural and Community Center; and Alison De La Cruz, executive producer of the show and director of performing arts and community engagement at JACCC. Between the San Diego and Broadway runs, extensive changes were made based on complaints and suggestions from the community, but Desai said, “We’re sticking pretty close to the Broadway version, so in terms of content it will be the same songs … What is being changed a little bit is a revisiting of the book. The cast size is going to be a little bit more concentrated. It’ll be cast size of 15,” down from 25 on Broadway. The number of musicians will be reduced from15 to 11. “The only song that actually exists in the current show that existed throughout the life of the show is ‘Gaman,’” De La Cruz noted. “ … The birth of a new musical, an original idea, takes about 10 years … ‘Gaman’ is the only original song from the original Little Tokyo reading that happened so many years ago. One unique aspect of the Little Tokyo production is that it’s a short distance from sites directly connected to the incarceration. The former Nishi Hongwanji building on First and Central, now home to the Go For Broke National Education Center, was one of the locations where Japanese Americans had to line up, with only the belongings they could carry, and board buses bound for camp. The former Union Church on Judge John Aiso Street, now home to East West Players, was used to store incarcerees’ belongings during their absence. The orchestra pit, which is usually covered, “will be used in the way that it was intended,” she said. The play addresses controversial issues in the camps, such as the government-imposed loyalty oath. Sammy Kimura decides to show his loyalty by serving in the Army, while his sister Kei sides with those who refuse to serve until their rights as U.S. citizens are restored. The headliner will be Takei, reprising his roles as Ojii-chan and present-day Sam Kimura. 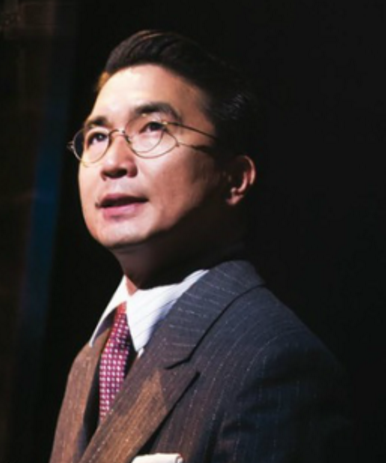 Joining him from Broadway will be Greg Watanabe as Mike Masaoka; Janelle Dote as Hanako; Scott Watanabe, understudy for Christopheren Nomura on Broadway, as Tatsuo Kimura; and Elena Wang, understudy for Lea Salonga on Broadway, as Kei Kimura. Rumi Oyama, a member of the Broadway cast, is now the choreographer. Rounding out the main cast are Ethan Le Phong as young Sammy Kimura, Eymard Cabling as Frankie Suzuki and Natalie Holt MacDonald as Hannah Campbell, replacing Telly Leung, Michael K. Lee and Katie Rose Clarke, respectively. The ensemble is composed of Cesar Cipriano, Jordan Goodsell, Sharline Liu, Miyuki Miyagi, Glenn Shiroma, Chad Takeda, and Grace Yoo. “We’re casting amazing people to embody these roles, and we trust and believe that you will walk away understanding that you’ve seen an amazing group of artists on the stage,” said De La Cruz. There was a worldwide casting call, and around a thousand people responded, the highest number of submissions for a show in EWP’s history. About a third of them reached the first round of auditions. Greg Watanabe will reprise his role as Mike Masaoka. Previews begin a few days after the anniversary of the signing of Executive Order 9066 on Feb. 19, 1942. “My grandparents brought my sister and I to the Aratani Theatre, I think it must have been in the early ’90s, to a video screening that was hosted by VC [Visual Communications] about the incarceration,” Ito remembered. “I think it was a way for my grandparents to expose my sister and I to what they had endured without having to say it themselves … That’s the work that the early VC crew did in documenting and telling the stories. 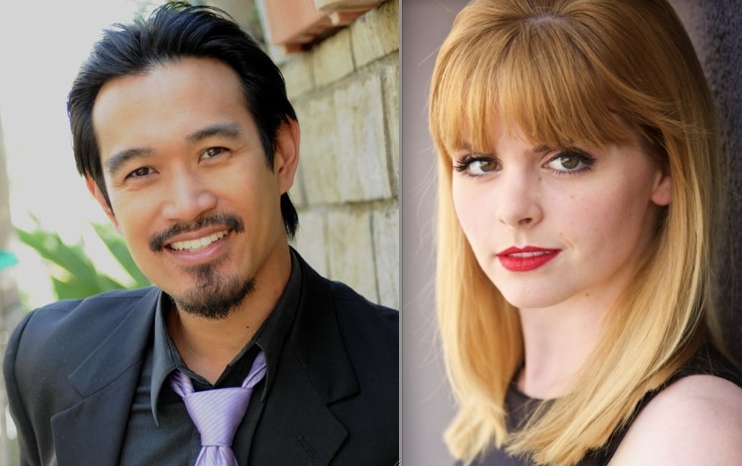 Eymard Cabling will play Frankie Suzuki, Kei’s love interest, and Natalie Holt MacDonald will play Hannah Campbell, Sammy’s love interest. “Allegiance” will be performed at the Aratani Theatre, 244 S. San Pedro St. (between Second and Third streets) in Little Tokyo. Previews: Feb. 21 to 25 with 8 p.m. shows Wednesday to Saturday and a 2 p.m. matinee on Sunday. Regular performances: Feb. 28 to April 1, with 8 p.m. shows Wednesday to Saturday and 2 p.m. matinees on Saturday and Sunday. For tickets, call (213) 680-3700 or visit http://AllegianceMusical.com.